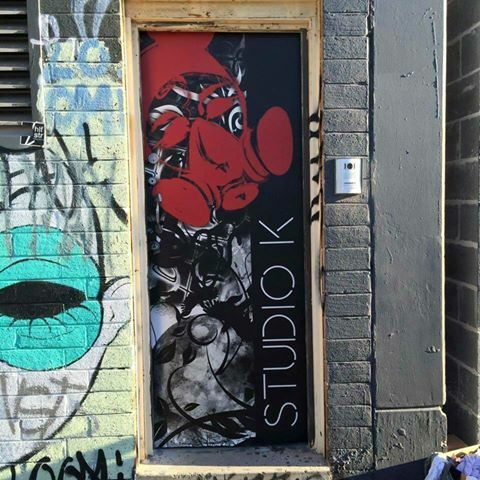 The Studio is conveniently located just a minutes walk from St Peters station, at the very end of King St.
Come halfway down Caroline Lane – you’ll know the door by the red gas mask and the “Studio K” – press the buzzer to the right and push (hard) to enter. We’re at the very top of the stairs, just follow the signs. Please note: Studio Kink is in a secure access building this means the doors only open 15 minutes before class.